Looking for Unique Gift Ideas! Discover the Flat-Packaged DIY Bonsai Tree Kit! Check out our super cool Flat-Packaged DIY Bonsai Tree Kit! Our maintenance free flat-packed bonsai tree was featured in "WIRED" magazine as one of the best gifts for the home- or office desktop and great for dorms too! 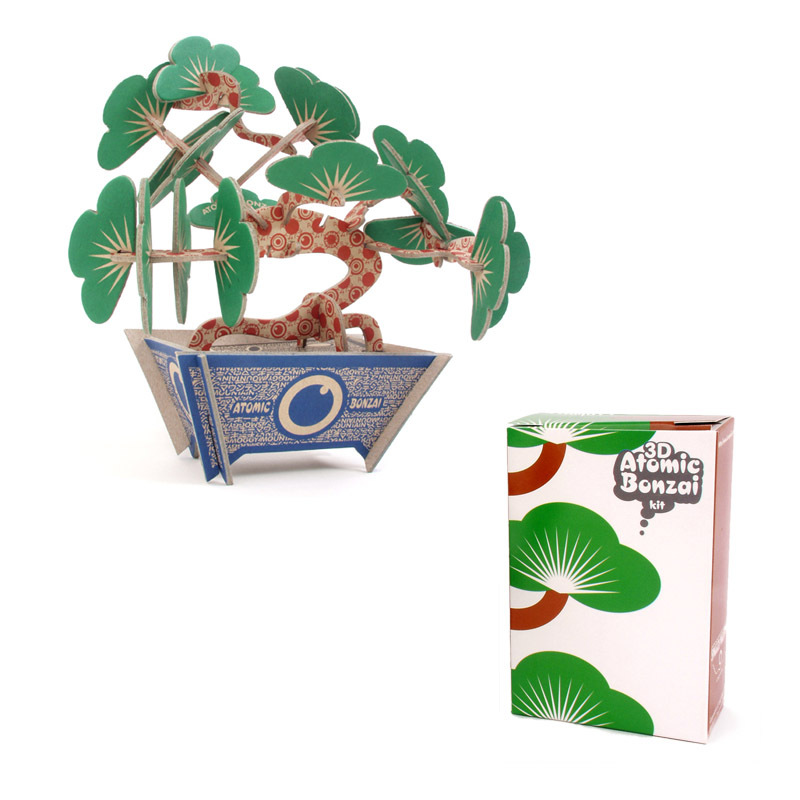 The Atomic Bonzai Tree is a 3-D sculptural puzzle kit presented in a nice gift box. This no-maintenance cardboard greenery does not require watering or pruning and looks stunning right out of the box. The perfect small present sure to be appreciated! Size: ca. 7" x 7" assembled. Great for any apartment, dorm or gift ideas!